Elizabeth Ride: These BAAG reports about Wing On Shing Shipyard come from the period of the Japanese Occupation of Hong Kong during WW2. 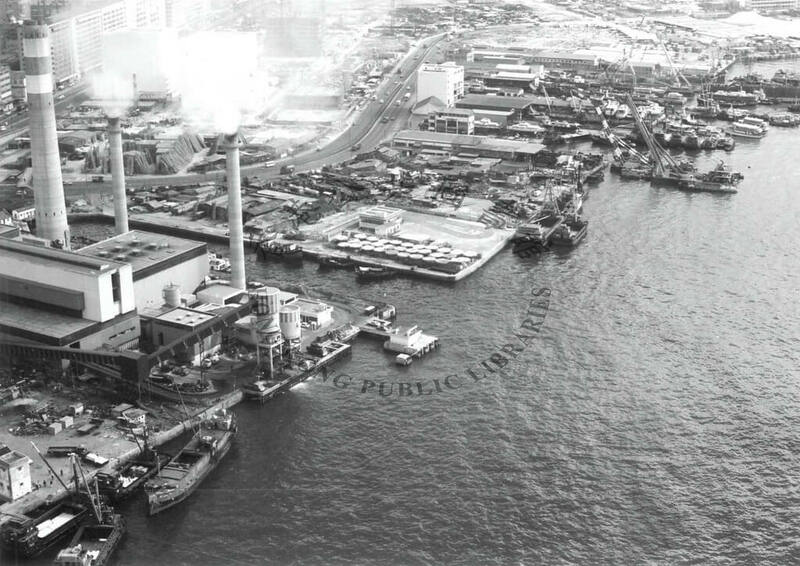 The Wing On Sing Shipyard, located on the foreshore along Castlepeak Road between Shamshuipo and Laichikok is controlled by the Kokoki or Koreki Butai. It builds and repairs wooden vessels, landing craft, launches and motor boats. 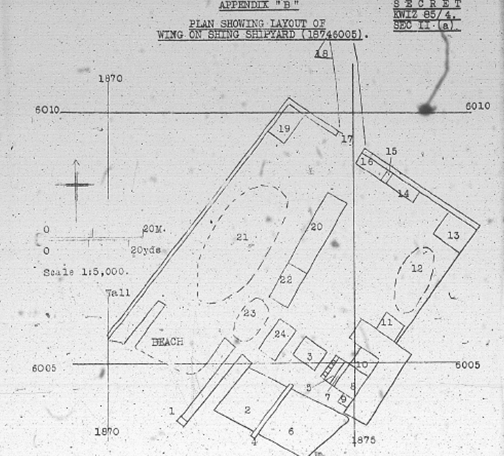 One auxiliary wooden vessel was completed in October 1944, and 3 landing craft were reported to have been built between September and December of that year. About 200 workmen are employed. Power from the China Light Station, suspended in August 1944, was restored in the following December. 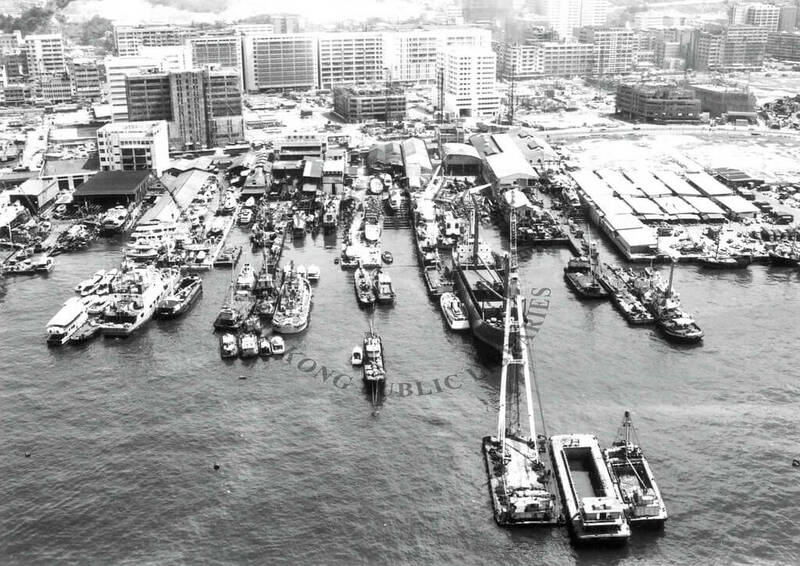 Stephen Davies: These aerial photos show post-war shipyards at Cheung Sha Wan one of which was Wing On Shing. They were certainly there as of 1947 and, I think, there just pre-war, though at an early stage they have been more Yaumatei way. The locations of all of these smaller yards seems uncertain. The photos come from the HK Public Library collection. The Index contains many articles incorporating BAAG reports from WW2. And about industry in HK during that time. 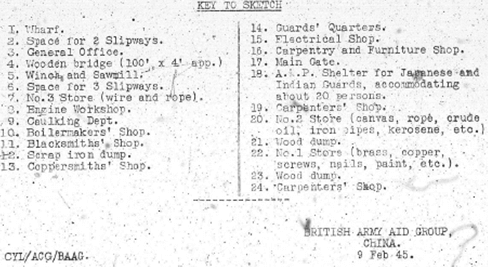 The Index contains several articles about smaller shipyards during the Japanese occupation of HK in WW2.